Here we are, in August, more than halfway through the year, and it’s time to start summarizing what we’ve got so far. This is coming in August, not end of June (the real halfway point of the year,) because we all know that the fall and winter are where the classy Oscar contenders come in. Those are the movies that will be most remembered come years end. The movies from the spring will be least remembered. And the movies from summer will fall somewhere in between. So there’s still a lot to look forward to in the next four-five months. Personally I’m excited about the two superhero movies we have coming out in that time, Thor Ragnorak and Justice League. But that’s a whole other caliber of film, and not the kind that makes it to the Oscars. For now, it’s time to look back on the year so far and evaluate the best, and also the most popular. The biggest movie of the year so far, as being a monster breakout hit, has got to be Get Out. 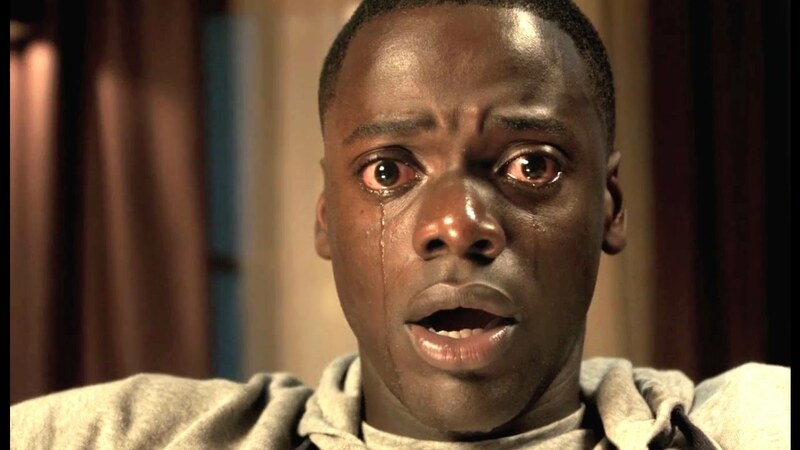 Made on a shoe string budget by a first-time director (Jordan Peele of the Key and Peele show,) this movie captivated audiences in a way that a horror / suspense movie hasn’t done since The Silence of the Lambs. Movies from so early in the year pretty much never get best picture nominations, but something tells me this movie will. Not only did critics love it, but audiences did too. Speaking of those big action films, there have been some pretty decent ones this year. The runaway hit has got to be Wonder Woman. It’s not that this should be such a huge surprise, being as how it is a big budget superhero film, but there are a number of reasons why this film in particular stands out. It’s the first great female led superhero movie. It’s the first superhero movie by a female director. And it’s the first great movie made in the DC Extended Universe. Man of Steel was cool, but after that the stock in this company sure plummeted, (Batman Vs Superman and Suicide Squad.) Wonder Woman is the movie that not only gets people talking again, but gets them super excited about the future of superhero movies. Some people even call this the best superhero movie of all time. Before we get into other superhero movies, lets look back for a moment at the start of the year. The breakout films were Logan (Yes, I know this is a superhero movie too,) John Wick Chapter 2, Beauty and the Beast (the live action version), and The Fate of the Furious (Fast and the Furious 8.) None of those should really come as a surprise, but the ones I’m most happy about are Logan and John Wick 2. For Logan, its the best of all the Wolverine movies. It’s also the last, so it’s nice to know that they finally got it right. The trick, (among other things,) was giving it an R rating and using that as an opportunity to go all out. For John Wick Chapter 2, I’m pleased to say that this is the movie that really opens it all up. This is the one that exposes us to a greater and much cooler universe. The first movie was awesome, and the better of the two, but it gave us only a small taste of what this movie shows us. And with this film, and the place that it leaves off, comes the promise of at least a third movie, which I couldn’t be more excited about. For all of these great movies, there have also been tons of bad ones, from Ghost in the Shell to Rough Night to Baywatch. But the list of popular films more than makes up for those. While Guardians of the Galaxy 2 wasn’t anything special, it’s the lone superhero movie this year that wasn’t very good. That means we are three for four in that category right now, with Logan, Wonder Woman, and Spiderman Homecoming all being great. And that’s just for the big budget films. The really story of the year right now is those smaller budget films that are spreading like wildfire by word of mouth and riding the wave of success that comes with it. Get Out, The Big Sick, Baby Driver, and Girls Trip. All worthwhile movies that are smart, funny, or just a genuine good time. Creativity is back in top form. It’s a good time to be a fan of movies.